OLD PARKED CARS. : 1982 Chevrolet Citation Notchback Coupe. 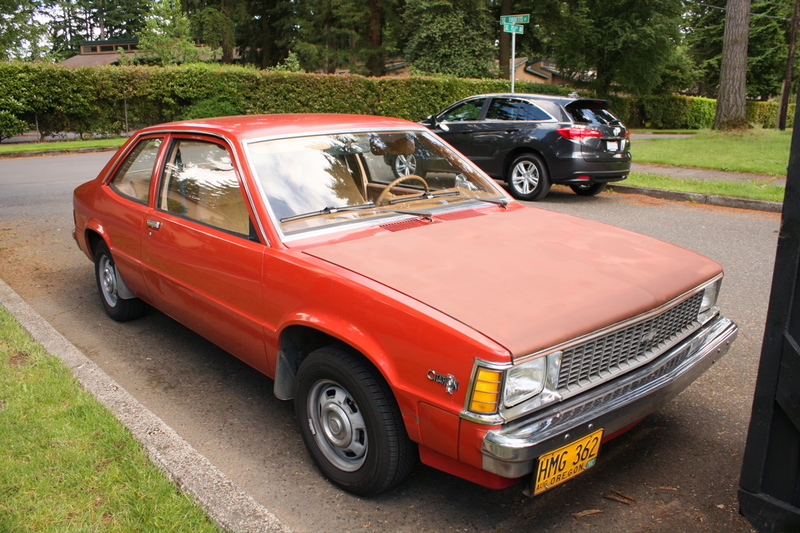 1982 Chevrolet Citation Notchback Coupe. how satisfying is that b-pillar? Awesome find! There must be all of six, seven more of these still rolling nationwide. Honestly, nicely proportioned. Love the amount of glass and the kicked up rear window. Good point Nate, I do like how much of the surface area is glass, but I still do not want to sit in this. That back seat looks perilous! Those original wheels really tie it all together, and it's great to not see one of these in beige. I'm enjoying the plentiful tiny-bland details the longer I look at it. But I still don't want to sit in it. Funny backup lights. I really like this. I see a lot of the 2 door Skylark in it, which were much more common. Love the way the rear side window slopes up-these Citation coupes are pretty sharp, and they're the rarest of the Citations by far. 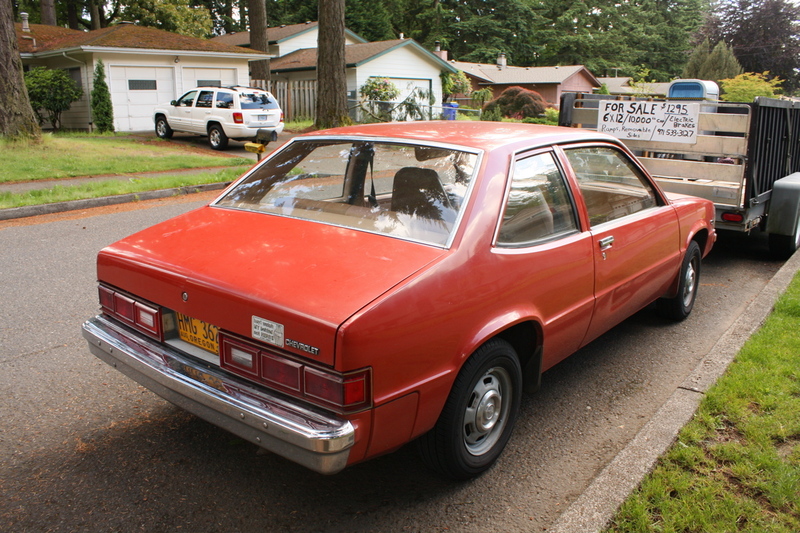 Incredibly rare to see ANY Citation in this condition, let alone the elusive notchback. 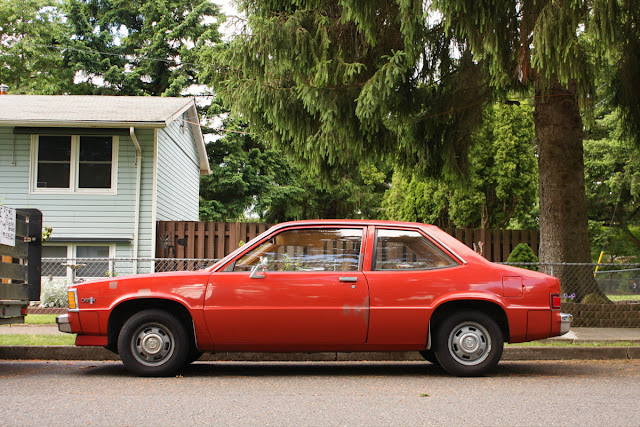 These early 80s Chevy models carried over the brighter colors of the late 70s. It wasn't until around '84 that the muted beige/blue/rose-tinted metallic colors became very popular. What a joke... those cars were GARBAGE. A kid in our neighborhood had a gray one... the radio was mounted sideways in those Citations. Those FWD X cars were the downfall of GM to the imports. Probably the finest example of a Citation I've ever seen. Nice find! Richard said: "I have a feeling they probably would've made a convertible version in one of these models..."
Some coach builders did on the other X-cars. Skylarks, Omegas and Phoenix. My Dad was looking at a Chevy Citation X-11 when they were new. He was interested in the dealer demo car because the dealer was getting over sticker for the others.